Did anyone else notice this rather epic Instagram from Cara Delevingne over the weekend? The model shared a rather intimate moment with fellow industry leader Kate Moss and a rather unexpected guest in the form of Tom Jones. Sister, what is happening here and how do we get in on this celebrity love triangle? And what's happening there with the bottom of Kate's dress, which Cara has her paws wrapped so tightly around? It's all rather random and unexplained. 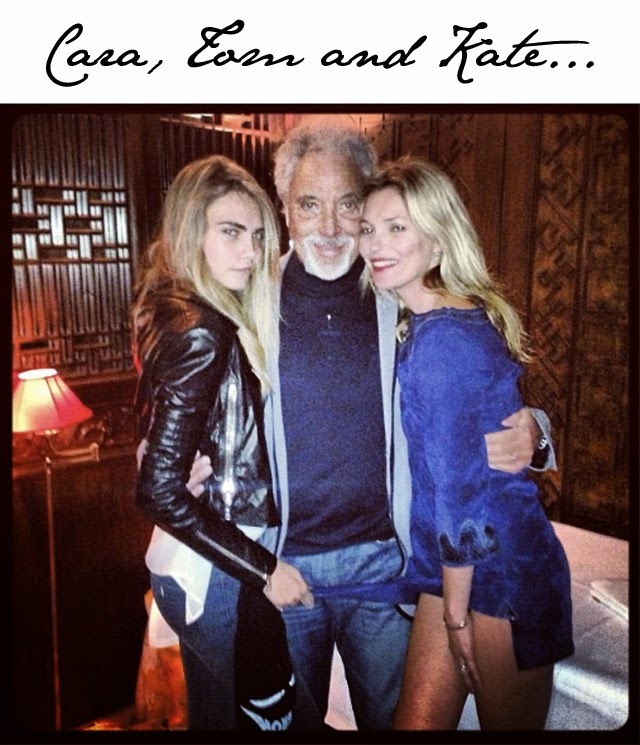 Cara shares, "Only with Kate, would I find myself being serenaded by Tom Jones #iwouldhaverippedmydresstoo#lookatthoselegs #epic #legends". So it would see there was an actual incident with the dress. Care to share any guesses, folks?